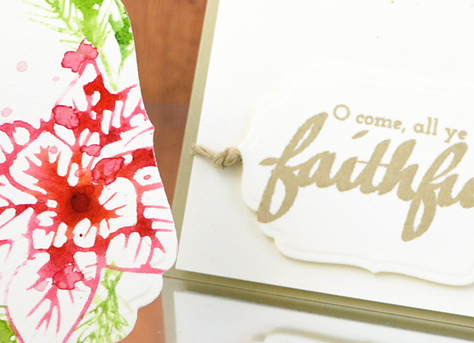 The background is from Poinsettia and Pine, stamped in Ruby Red ink. My sentiment is from Halftone Holidays. 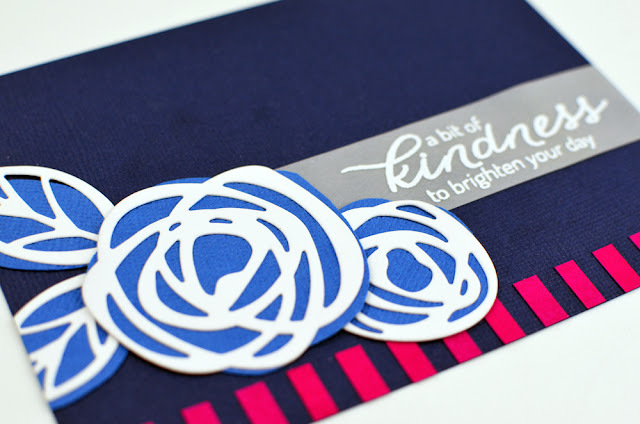 Just a short post today - check out the other gals who are posting this morning...their projects rock! What? I can't believe it's been a month since I last posted! 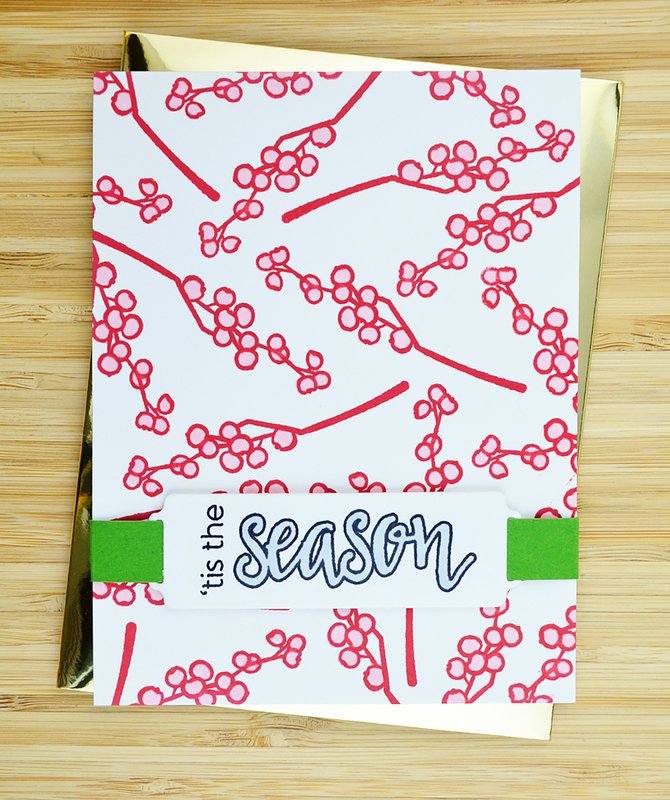 I promise...I haven't been neglecting my card making. I have actually been doing a lot over at Altenew! 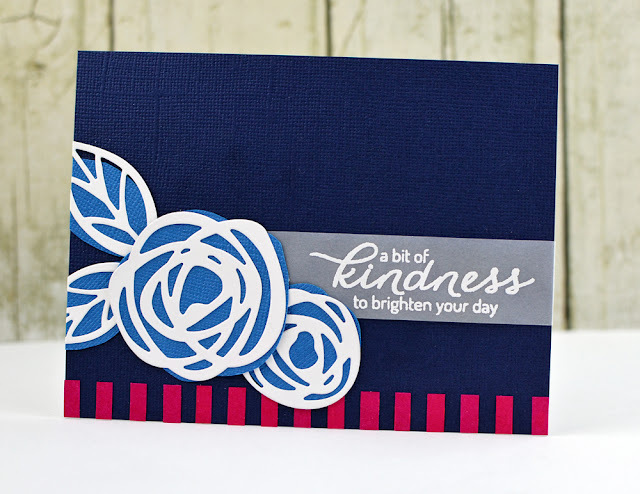 Not only have I been posting cards over there, but I am also hosting a card class through Altenew Academy! 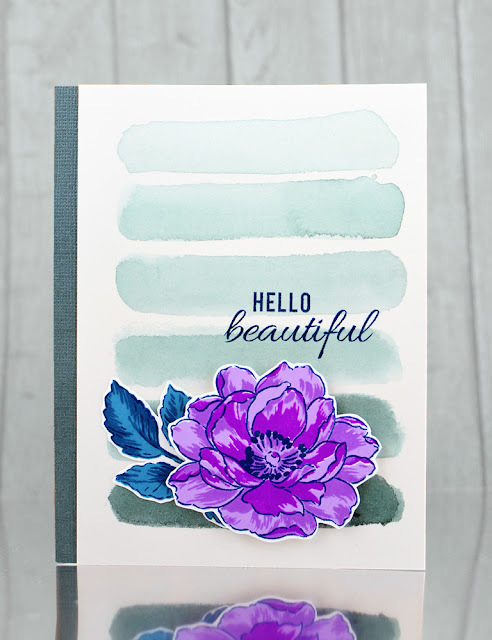 It's called "Clean and Simple Boutique Cards," and there are 6 days of videos and project inspiration....I really hope you can join us! 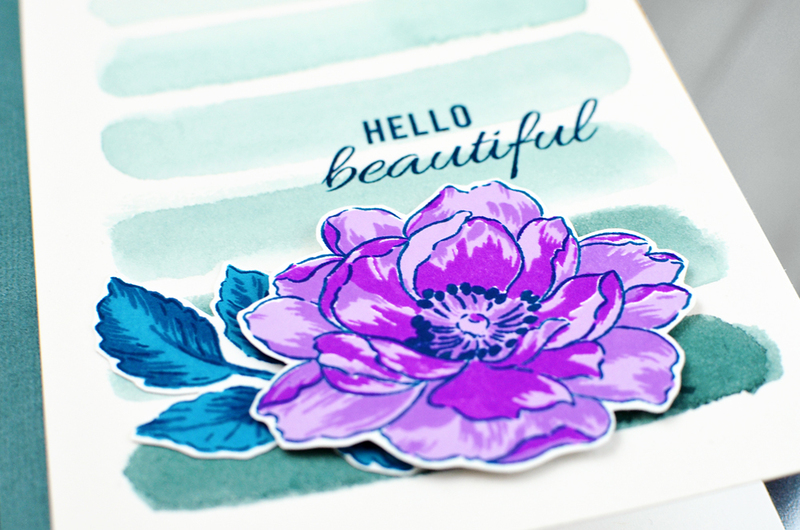 I have a discount code AND a giveaway over on the Altenew blog today. Head over there if you want more info! 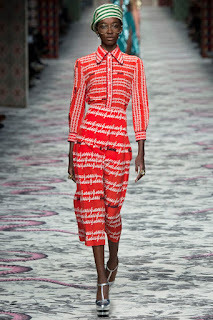 Yea, a new Runway Inspired Challenge! 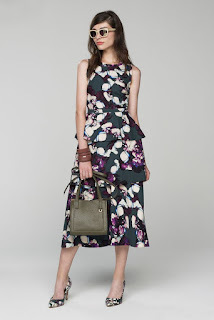 I just adore this look from Banana Republic...so ladylike, but in an update way! Her accessories just rock - I totally want those shades and bag. And the coordinating shoes! I was mostly inspired by the color palette and florals, so I reached for the Beautiful Day stamp set from Altenew's latest release. 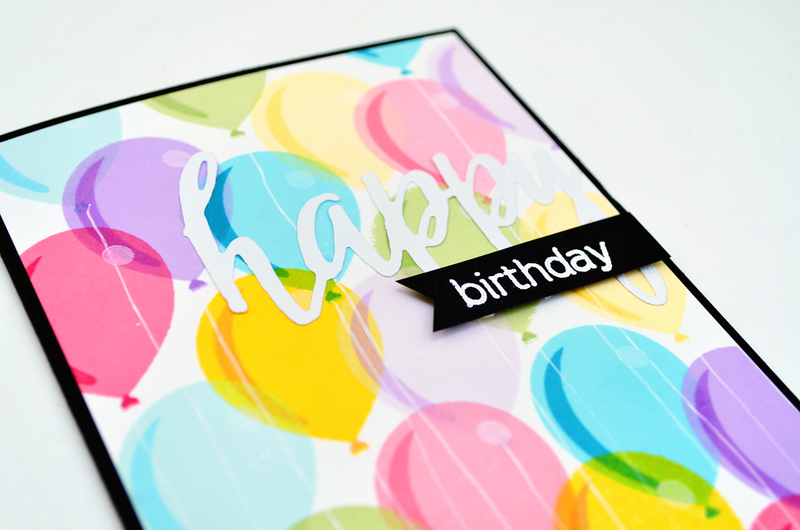 I stamped the images using inks from our purple and blue color families. Then, I cut them out and mounted them to a piece of Arches hot pressed watercolor paper that I painted with some quick swipes of color. The sentiment was a mix from two sets - the "hello" from Bejeweled, and the "beautiful" from Beautiful Lady (both Altenew). I used Desert Night ink for the outline and sentiment - I think this might be my new favorite sentiment ink, for when I want something different than black. It's nice and dark, and stamps so crisply. We hope you can play along! 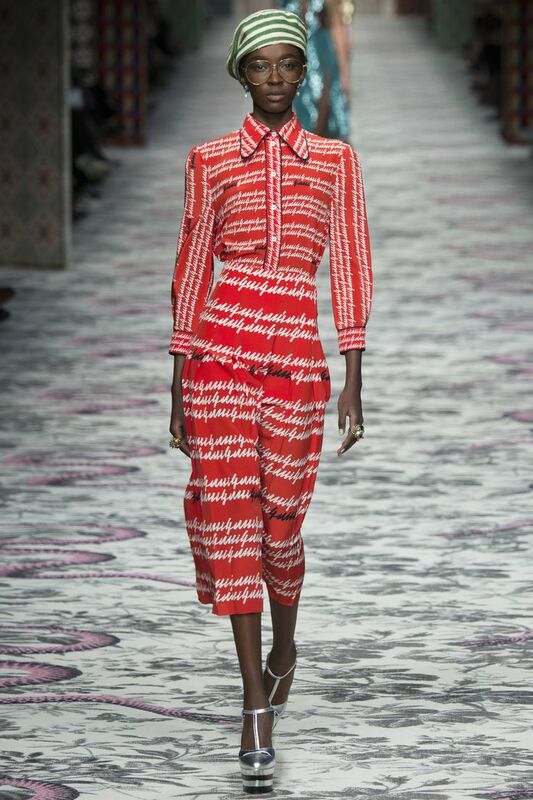 Wow, just check out that gorgeous dress from Marchesa! The colors, the lacy details, and those amazing shoes - this look is just incredible! My sentiment is from this amazing stamp set which was created by Hero Arts in collaboration with Jennifer McGuire. Jennifer recently launched an incredible challenge aimed at spreading kindness through handmade cards, gifts, notes, treats, etc. You can find more info at sharehandmadekindness.com. Feature at Simon Says Stamp! Hey friends! I just wanted to let you know that I have a card and tag featured today over at the Simon Says Stamp blog. I'd love it if you popped by over there to check it out! 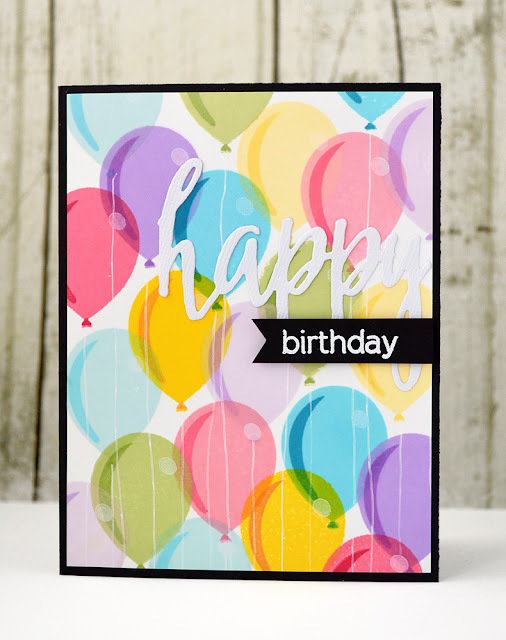 The balloons (from Birthday Greetings) were stamped in various colors of ink, and then I finished the card with our new "Happy" die cut, and a sentiment from Halftone Happy. I hope you like it! 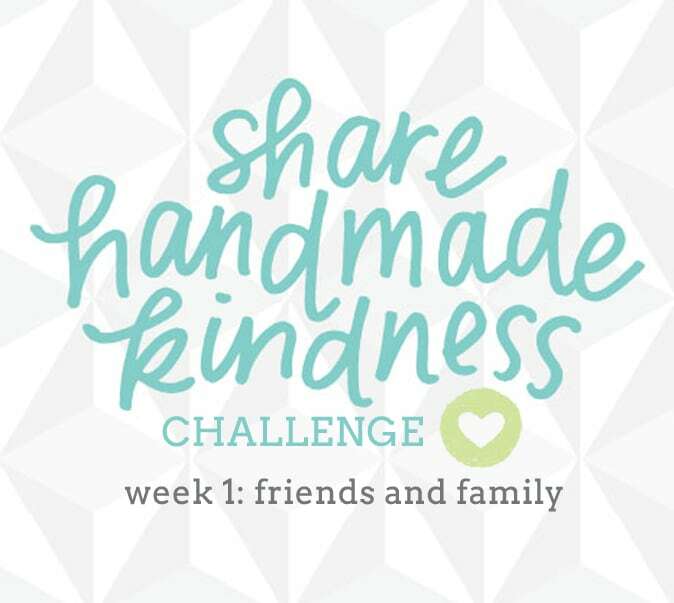 Please visit my DT friends to see what they created, then head over to the Runway Inspired Challenge to play along! I'm an elementary music teacher and I live with my husband not too far from Boston, MA. I love performing, cooking, crafting, and skateboarding. I also really appreciate all of your wonderful comments! If you live near Boston, you can buy my cards at Magpie!